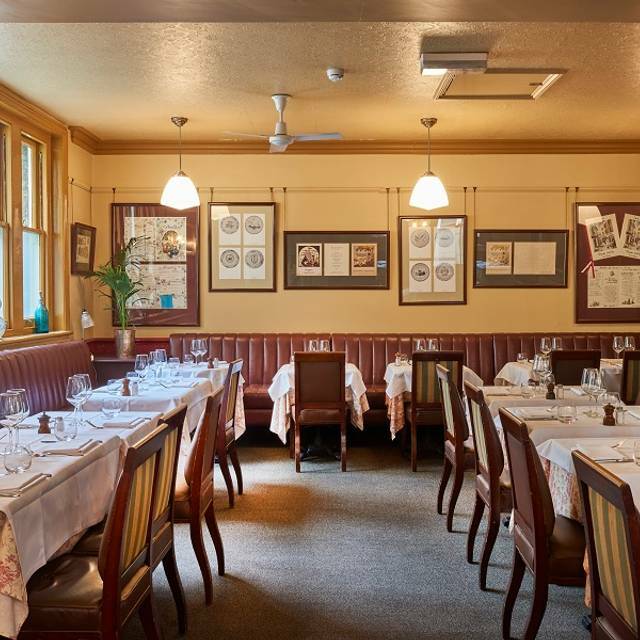 You must make bookings at least 5 minutes in advance of the time at Luc's Brasserie. Private parties accommodated with no hire-out charge. Seated: up to 80 on first floor restaurant +60 people upstairs; standing: 120 + 80. 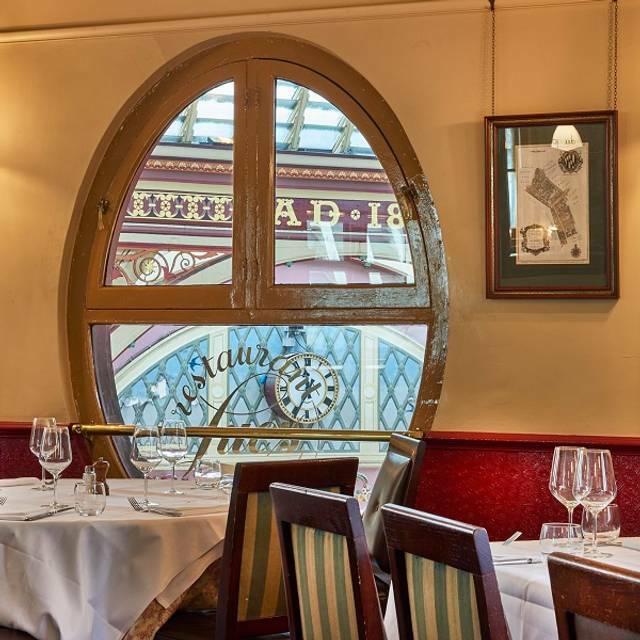 Luc's is a French Brasserie situated in historic Leadenhall Market in the City of London. 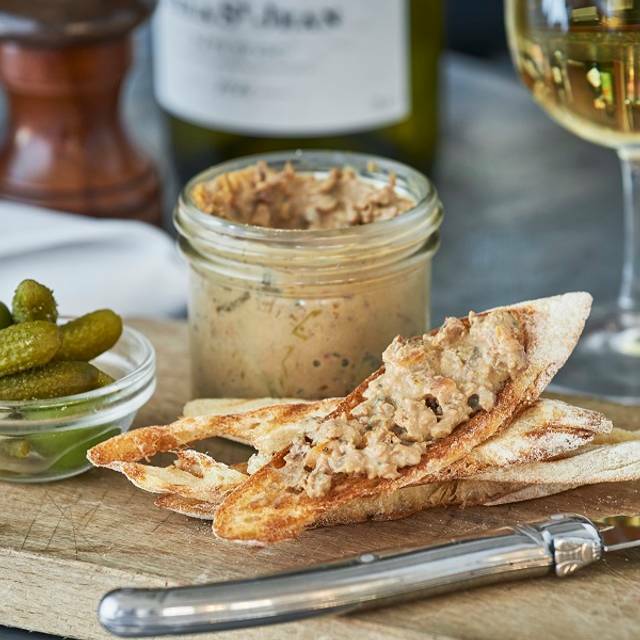 The menu comprises of French regional dishes, desserts and cheeses with a well chosen wine list to accompany your meal. Delicious food, friendly staff and lovely ambience. First visit to Luc's with a work colleague. The 3 course fixed-price menu was exceptional. Will definately be returning. buzzing lovely lunch venue always busy, but staff very attentive and efficient. Quality food and wines and the manager Mo and his staff are friendly and welcoming. Always a real pleasure to visit Luc’s. One of the most consistently good value restaurants in the City doing the basics very well. I already have recommended this to friends and have visited many times before. It never fails to disappoint. Great food as always and the service is always friendly. My pigeon was fantastic and the lamb just as good. See you soon hopefully. 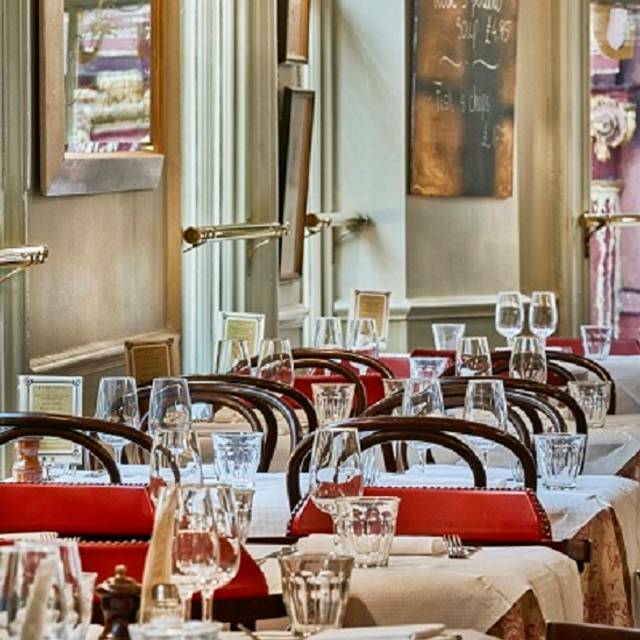 Very atmospheric brasserie restaurant nestled within London's Leadenhall Market. The food here is very good and portion sizes are decent. 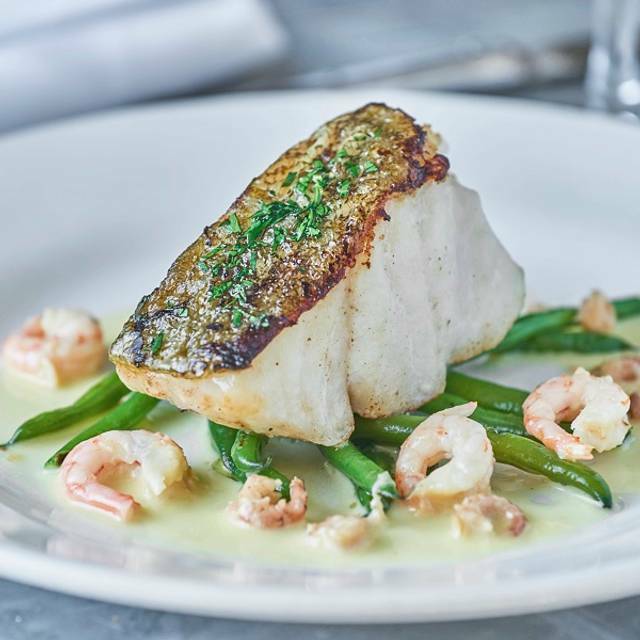 The main menu makes for a pricey lunch, but there is also a fixed price menu with good options where you'll get change out of £25 for a 3 course meal. Great food and great location. Highly recommended for a business lunch. Whilst relatively pricey (if you have half decent wine) it still delivers consistently. A Leadenhall Market/Lloyd's institution. Extremely unhappy with Luc’s. I booked a table on 2nd January for my 30th birthday, the booking was confirmed and then when we got to the restaurant it was closed. Awful and very disappointing. First time to visit. Lovely ambience, lovely views over Leadenhall Market. Good choice on the menu, all food was delicious. Good wine list. Good friendly service from Monica. Will definitely come back. Meeting for a family get together, we favoured the City area and Leadenhall is a favourite venue. Luc's just fits into this whole idea - good food, plenty of space, great staff. Just an excellent place to meet up. Really enjoyed the visit at this time approaching Christmas . It was much better than the experience of last year . A good location visited many times when I worked in and out of the Lloyds Market for a long period of time . The service was good, especially since they were so busy. The waitress was extremely considerate about the special dietary needs of my friend and checked and rechecked that my friend had something suitable without making us feel we were a bother. The restaurant was loud with the Christmas lunch crowd and there are rather a lot of stairs into the restaurant and to the toilets which accounts for the lower stars, but two of the party immediately wanted to book for other occasions. Excellent filet steak. Attentive staff. Very noisy - but it was full of people having work Christmas lunches! Very enjoyable early evening meal. Food good quality and efficient service. Menu could have had a few more choices, but authentic French recipes. Average food, average service and overpriced for portion sizes. Sold out of specials before evening service but hadn't removed from board. Food was excellent and very reasonable, the service wasn't bad, my only gripe was their booking system. They, or someone but definitely not me, screwed up the booking and registered us for 13:00 instead of 14:30. My confirmation said 14:30 and the person who called in the morning to confirm the booking said they looked forward to seeing us at 14:30. I didn't appreciate the sarcasm from the staff when we arrived at our correct time that I had made a mistake with the booking, nor the email from them some time after 13:00 reprimanding us - albeit politely - that we hadn't turned up or cancelled! (Maybe) interestingly, I have ticked the Open Table box for "Neighbourhood Gem". Anybody who works in and around the Lloyd's environment, and who has dined at Luc's will know exactly what I mean. Mo, the Maitre D', and Timi (possibly also the Maitresse D') are marvellous hosts. Regulars are welcomed back; newcomers are given the same degree of welcome and courtesy. It ticks the "Authentic" box from the barman to the chef. I know everyone isn't French, but it's a French restaurant alright. The menu is a comfort for regulars, and a delight for new diners; it changes....just in time, to keep us on our toes. 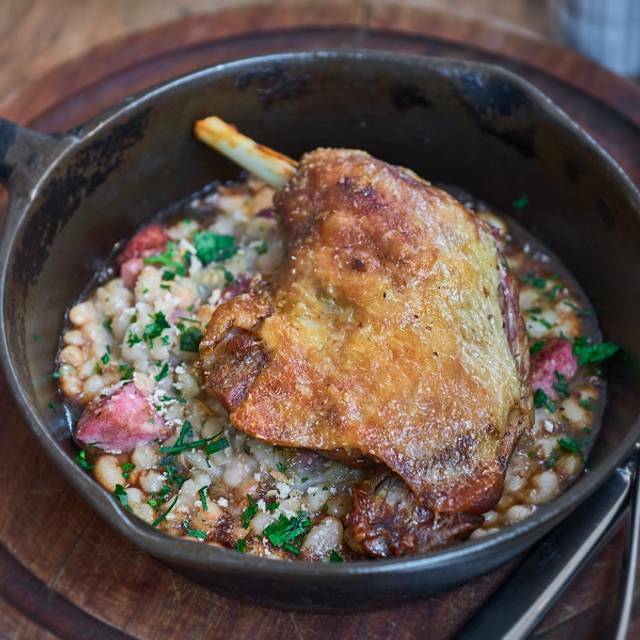 (The recent, seasonal addition of pigeon in the starter menu was very welcome.) Specials cause regulars to take an occasional diversion away from the comprehensive menu. The house wine, as it should be in a proper French Restaurant is excellent and excellent value. Businessmen and women can have a serious or cordial lunch. Non-business people will not feel "out of place", quite the opposite. The occasional "fun lunch" has a perfect venue. It's usually very busy; book a day or two ahead, if you can. A classic London Market lunch spot in the eaves of Leadenhall Market- buzzy & fun. I really love this restaurant - it’s perfect for business lunches. It’s not cheap but the food is consistently very good indeed. My only criticism is that the tables are far too small. Lunch on a table for 2 is a real squeeze and you need to keep moving things about to fit them on. I am getting a bit tired of that to be honest as I’m usually there with just one other person - it’s not an issue if there are 4 of you on a larger table for instance. Just my kind of place. Great atmosphere, food and wines. Nice old French cafe feel to the place. Service not fantastic but they were very busy. Luc‘s is a Great Place for conversation, we went as a group of 7 for a work reunion. Staff were very pleasant. Really like Lucs Brasserie. Good food and good serve ice. Great food, great location and awesome service. One couldn't really ask for more! 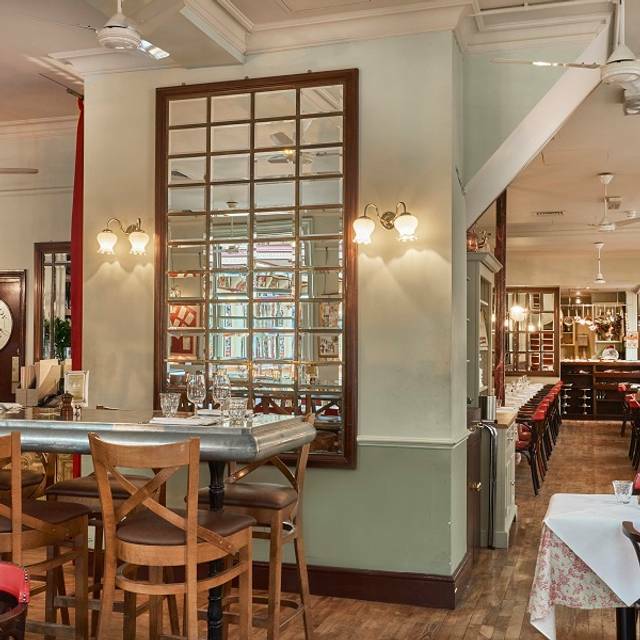 This is a tremendous authentic French cafe which is superb for business lunches but also excellent for more intimate evening dinners a Deux. I've used Luc's for several business lunches over the last year and the food never fails to impress. The Steak in particular is consistently good. However, it quickly becomes a rather pricy affair, and you'll be looking at 3 figures for a 2 course lunch without much effort which feels pretty expensive to me. It is very good food though. 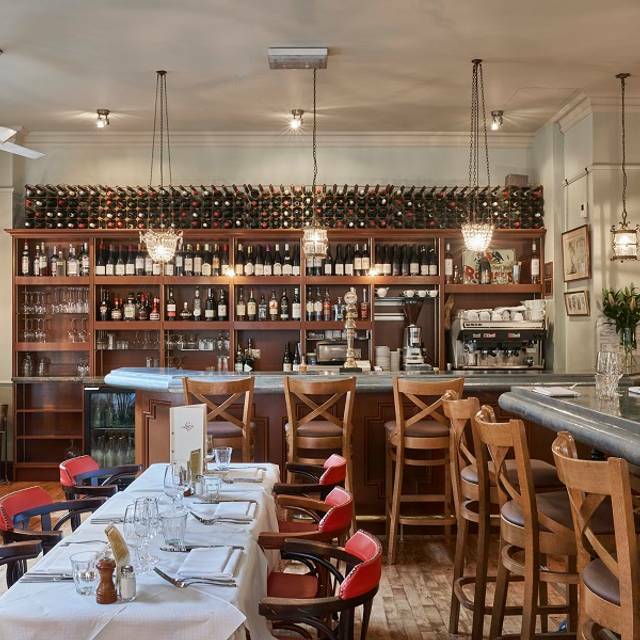 Fine for a business lunch in a great venue in the heart of the insurance district. No real surprises, but no disappointment either. 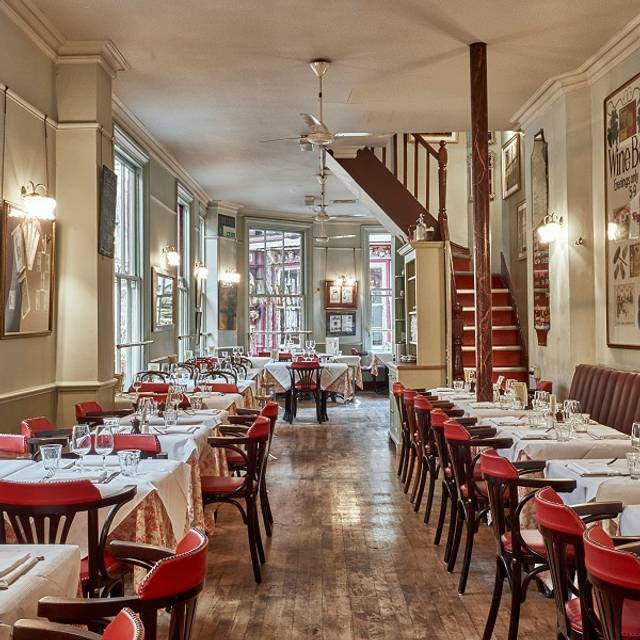 Attentive service, classic bistro memo and great ambience. Recommended.